As you know Fasttech is already a low priced merchant, but with an extra 10% off – it makes some prices almost wholesale. For one day only they are offering 10% off everything! Stock up and save! If you were saving a cart waiting for a coupon code – here you go! 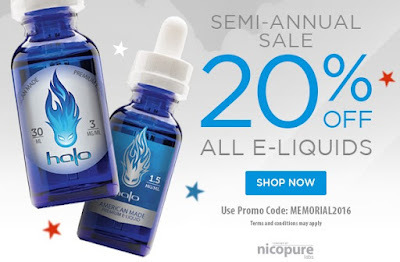 MEMORIAL DAY: ECIG.COM – 20% OFF ALL ITEMS! CHECK IT! Some great deals are coming out of this memorial day sale from ecig.com. Save big on some of the hottest items in vaping! By vapor-Sunday, May 29, 2016-Uncategorized-Comments Off on MEMORIAL DAY: ECIG.COM – 20% OFF ALL ITEMS! CHECK IT! 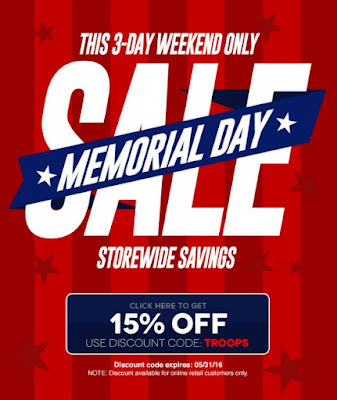 Myfreedomsmokes is having a 16% off sale for Memorial Day. All products including clearance are on sale. Don’t forget to check out their DIY section with great prices on Nic base, flavorings! Stock up and save on Mods, RBA’s, Tanks, and DIY! USE COUPON CODE MEM2016 TO TAKE 16% OFF YOUR TOTAL ORDER! It’s memorial day weekend and Vaporbeast is running a 15% off sale on all items, including items on clearance. Check out their Juice lines (Holy Grail RY4), RDA’s, RTA’s, Mods and more! Stock up and save this memorial day weekend! Tornado RDTA designed by AW in Southern California. IJOY Tornado 300W capable Two Post RDTA aims directly at a recreating high powered RDA experience with the benefits of a tank reservoir. The Tornado T4 build deck features a two post design with two 2mm diameter terminal per post, allowing for easy mounting of dual coil builds. With Tornado T6 two post 6 holes optional deck, high power builds driven up to 300W can be achieved with steady wicking rates. Combining a wide surface area 15mm by 2mm dual adjustable airflow with dual 5mm diameter inner air holes, a two post build deck, and quad 5mm diameter wick ports that result in staggering overall capability. Using the convenient sliding and lock gasket sealed side top fill design, users can easily fill the 5ml tank capacity and leaks free. For maximum conductivity, a 24K Gold Plated Center Pin features a direct to contact design resulting in minimal voltage drop due to the lack of redirection of electrical current. To feed the potential of the system, dual 15mm by 2mm air slots direct airflow into two 5mm diameter air holes located in the build deck, allowing for absolutely massive vapor production. The wide area airflow also delivers cooling to a wider surface area in the sub-deck, effectively cooling the entire system. The chassis of the Tornado RDTA is manufactured utilizing 304 Stainless Steel, providing a heft and durability to be expected from a flagship tank. 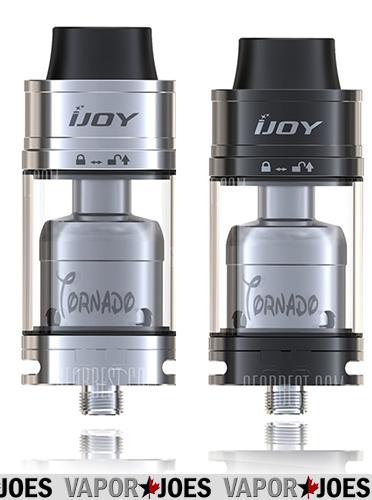 Combining the form factor and capability of a RDA with the reservoir of a tank, the Tornado 300W Two Post RDTA by IJOY is a high performance platform designed for extreme vapor chasing. Geek Vape is a newer manufacturer gaining a fantastic reputation with awesome, well-made vape products like the Griffin RTA, Avocado RDTA, and the Tsunami RDA. And with their consistently great build quality, their new 521 Tab is going to be the perfect match for your rebuildable atomizer/tank collection. At its price point, the accuracy of the ohms reader is superb. Build the perfect coils on the spring-loaded 510 connection. The 521 Tab by Geekvape also serves as a table mod, capable of firing builds as low as 0.1 Ω in Fire/Burn Mode. Multiple safety features will make sure that you are building accurately while being safe. If you’re looking for a classy, stylish yet reliable ohms reader, you’ve found it in the 521 Tab by Geekvape. Some of the biggest name brand juices are on sale for 40-50% off at Angelcigs. The big names boys like Cosmic Fog, Five Pawns, Suicide Bunny, Halo, and many more! Why pay more when you can take advantage of this deal! No coupon is required! Just put it in your cart! All items ship from the USA! The Sigelei Mini Book is a single 18650 box mod. It gets its name from how you open the battery door, the battery door mechanism allows it to be opened like a book. Equipped with a wattage range of 5 to 40 watts, the Sigelei Mini Book is the perfect stealth device for vapers looking for more power but still desire something small and sleek. Supporting nickel (Ni and regular kanthal, this device is another solid addition by Sigelei. Vapedudes for me has always been my hidden secret. With tons of juice companies coming and going – Vapedudes has always been a true reliable juice company with some of the best honey flavors on the market. With this memorial day sale, I couldn’t resist buying 100mls of the blue honey, and a 100mls of the strawberry honey. These are by far some of my favorite flavors that go back to my days as a new vaper. If you haven’t tried their honey line of liquids, you owe it to yourself. My recommendation would be to start with the blue or black honey – their top sellers. Trust me, it’s that good. Your also going to be really pissed off at yourself if you only bought a 30ml when you try it. Halo lovers rejoice. Halo is doing its semi-annual 20% off sale on all liquids. Halo can be a bit expensive but with the 20% off coupon – it makes it very affordable. I’m a huge fan of Halo and have been since I was a new vaper. They are one of the few juice companies that have flavors that are stunning and have never been replicated. By vapor-Thursday, May 26, 2016-Uncategorized-Comments Off on USA BLOWOUT: LG HD2 2000mAH 25A 18650 – $8.00 A PAIR! Sales from USA, EU, AND CHINA WAREHOUSES! Gearbest is running a flash sale on a ton of different vaping products. Flash sales and even coupons may pop so keep an eye on this area because they switch them. After that are pages of clearance items that seem to go on forever! I saw some killer deals in there. Snoop around and find your favorite deal!! Any industry which produces items featuring metal hardware has at least glanced at the notion of coating their stuff. If an item needs to look good and is being handled extensively, then thin Cerakote is an excellent type of coating. It withstands chemicals, scratches, and more without looking or feeling heavy. Horizon Cerakoat Tank features top-filling and is insulated in two places. The base is prepared for your hot vapor liquid and high temperature coil to maintain the temperature you want. 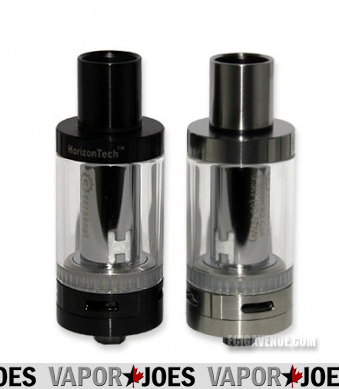 A wide bore drip tip allows the vapor to flow smoothly from the chimneyless coil head. With direct flow to the chimney head, the Cerakoat tank uses either Clapton or stainless steel (Mask) coils with 0.1- to 0.3-ohm resistance between them. 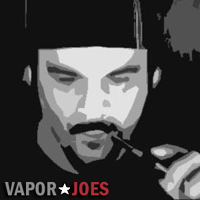 ECIGAVENUE: 15% OFF ALREADY LOW PRICES AND CLEARANCE! 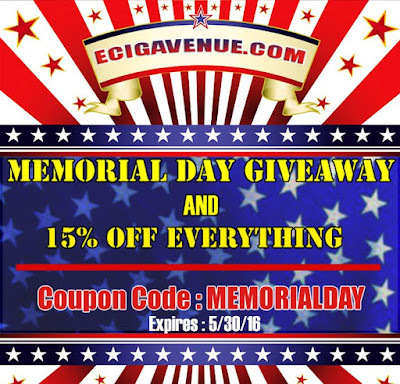 Ecigavenue is have its memorial day sale. Take 15% off already low prices on everything including items in the clearance section. A Trusted seller and fast shipper — it makes for one great sale! 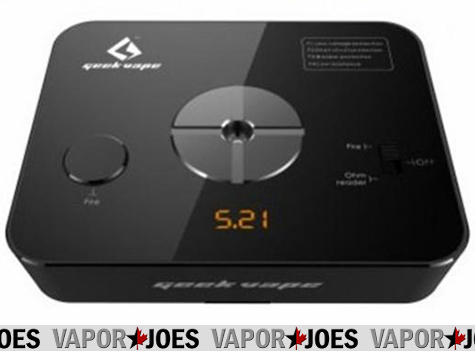 By vapor-Wednesday, May 25, 2016-Uncategorized-Comments Off on ECIGAVENUE: 15% OFF ALREADY LOW PRICES AND CLEARANCE! Dovpo Punisher 80W TC device is made for both seasoned and beginning vapers alike. Made of Zinc Alloy with a Rubber Paint surface to give it a no slip design, this device packs a punch while being easy to use and very comfortable to hold. 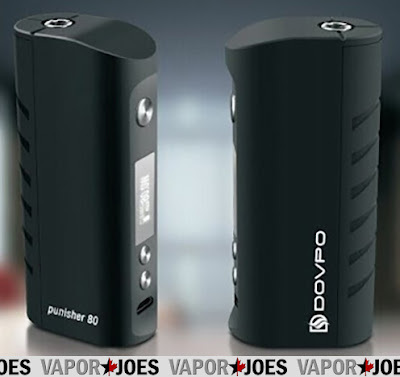 The Dovpo Punisher 80W TC (Temperature Control) has a built in feature to detect and switch from TC control to Wattage Control along with pass thru charging. One of my personal favorites, the Dovpo Punisher 80W TC just feels great in your hand and feels like a solid quality device. 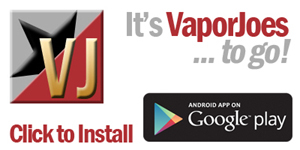 With everything this device offers, it makes a great mechanical mod for any vapers arsenal.